Attend the 29th Annual FREE VALENTINE'S DAY FILM EXTRAVAGANZA at the New 400 Theaters FREE OF CHARGE . 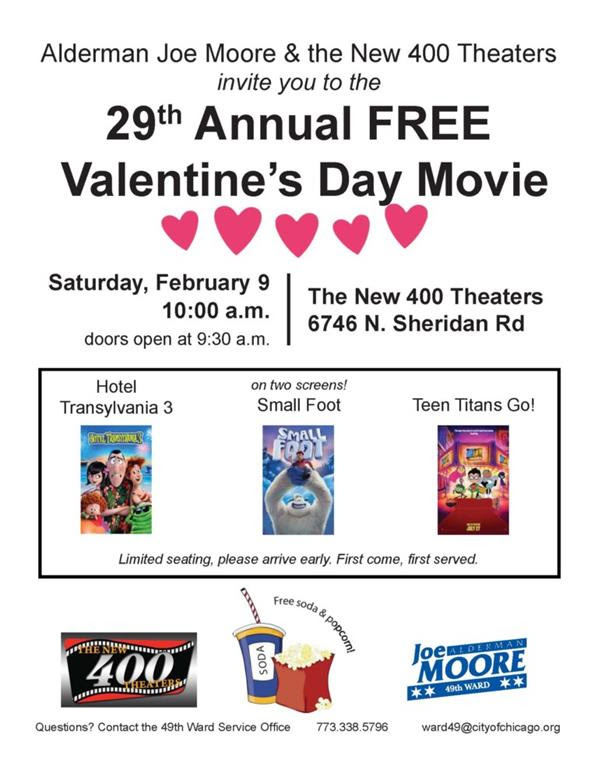 Three different family movies will be shown FREE of charge. In addition to the free movies, free popcorn and soda will be given away! The doors will open at 9:30 a.m. Seating is limited, so please arrive early. You will be seated on a first come, first served basis. These movies are for people of all ages, so come one, come all!